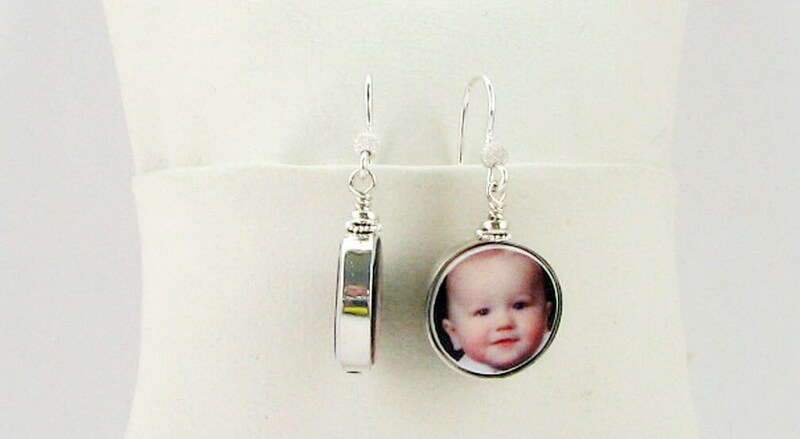 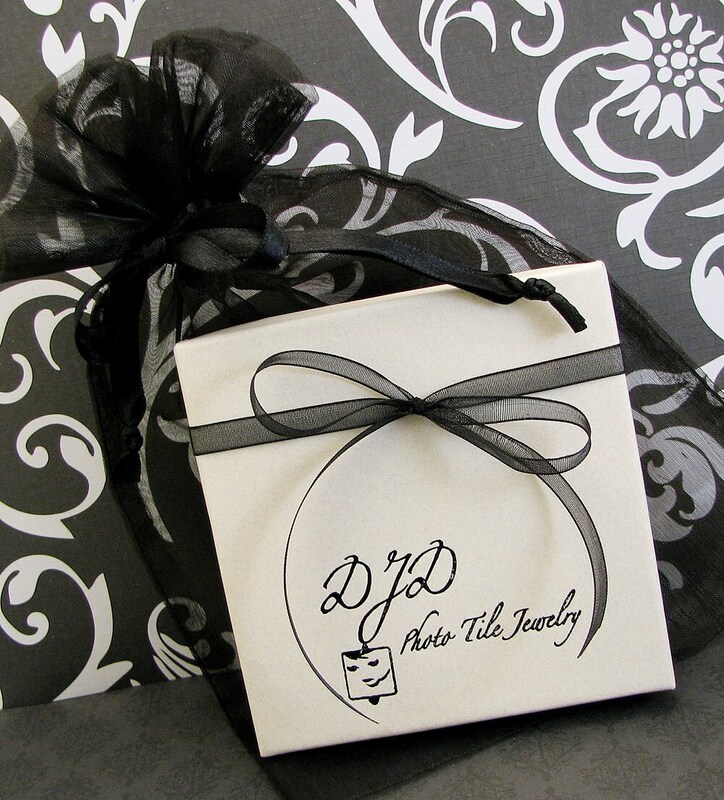 These are two-sided, heirloom quality photo charms that are framed in highly polished sterling silver. 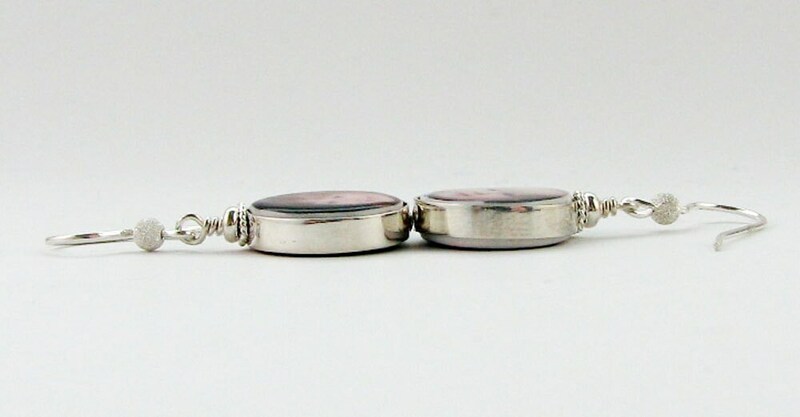 They dangle from screw-backs for non-pierced ears, and they measure .5" across. 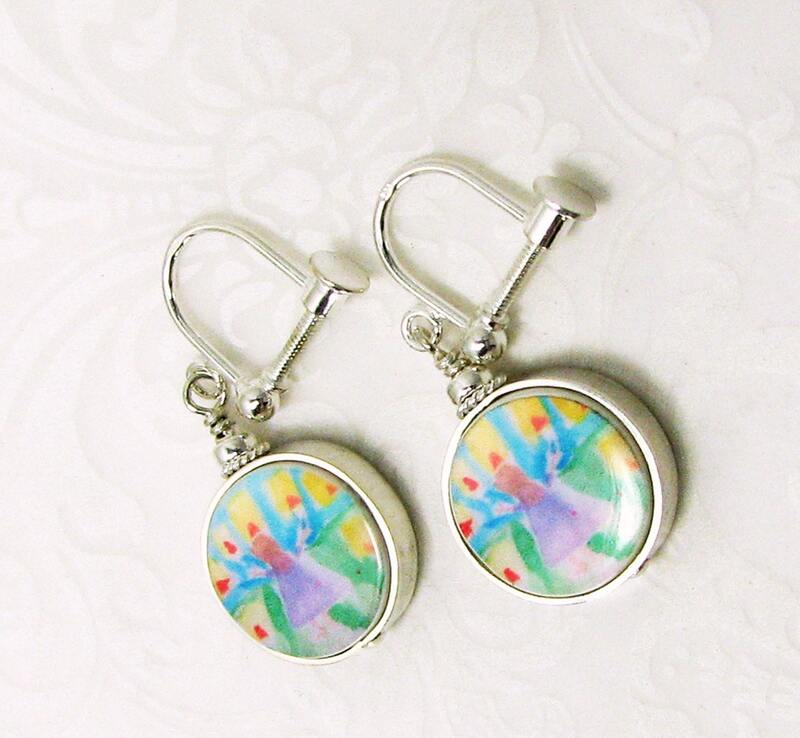 They hold from 1 to 4 images per set, and they turn so you can wear a different picture forward each day.